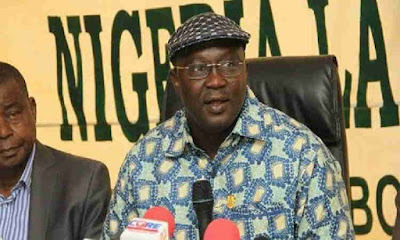 President of the Nigeria Labour Congress (NLC) Ayuba Wabba on Friday warned state governors against their refusal to pay the proposed national minimum wage of N30,000. A tripartite committee, comprising government officials, representatives of the organised labour and those of the organised private sector, had recommended N30,000 as national minimum wage. But Chairman of the Nigeria Governors’ Forum, Governor Abdulaziz Yari, said there was no way governors could afford to pay N30,000 as workers’ minimum wage. However, speaking to journalists on Friday in Ekiti state, Wabba insisted that there was no going back on the N30,000 as against the existing N18,000. He said that governors had no reason to decline to pay the wage, adding that they (governors) were part of the decision-making process. "Six of the governors representing each geopolitical zone were part of this decision-making process; the N30,000 was not a labour demand, it was even a compromise position,” the NLC leader said.